On the day after Christmas, before the Sun rises, while most of us haven’t even woken up and begun our day of nursing yesterday’s overindulgences or heading to the Mall to exchange things we don’t need for other things we don’t need, Tom Jarvis is down at Santapaolo’s wharf in East Gloucester. 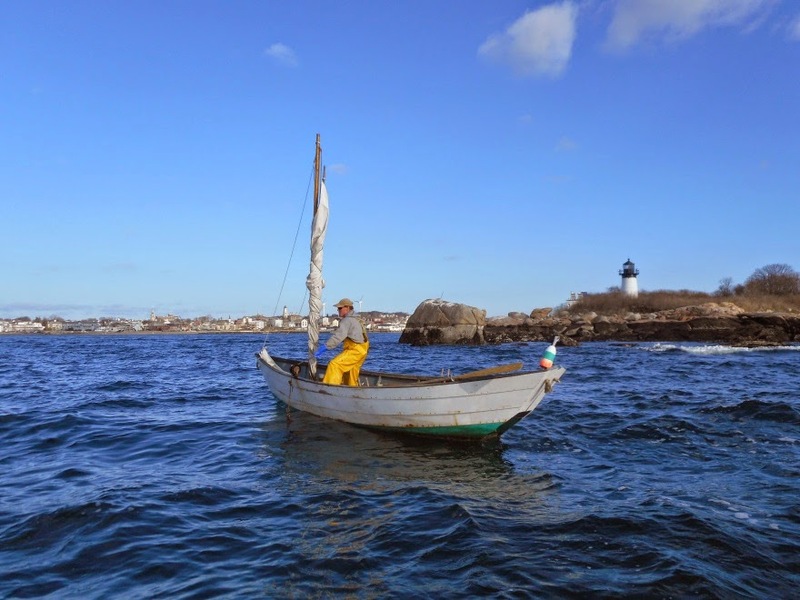 He’s a true Gloucesterman, so the routine of checking his dory and gear for hauling lobster traps is more like breathing than a difficult thought process. 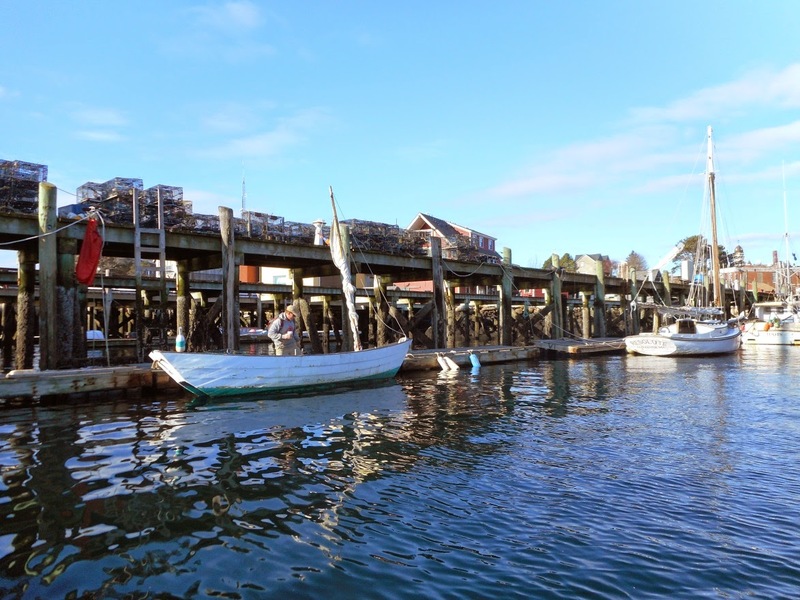 He lets go of the lines, rows out of Smith’s Cove and arrives at the Gloucester Maritime dock with the first rays of morning sunlight. His first order of business is to take care of his favorite girl, the only one he’s ever been able to commit to. She’s the “Resolute”, a Burnham-built Friendship Sloop with such beautiful lines you can’t gaze upon her without a double-take or a lasting, long look. The Burnham family courted Tom to buy the “Resolute” for years, knowing he’d take good care of her, they finally let him have her for a song- the cost of the new engine they put in, as Tom says, “I bought an engine with a beautiful boat around it!” He starts the engine to charge her battery and pump what little water might be in the bilge, lingering long enough for a few sips of coffee, his hand on her boom, listening to her purr. Now it’s back in the dory, rowing out past Harbor Cove and the Fort, the back of his neck tells him the forecast for Southwest wind was accurate and dictates that he’ll row toward Stage Fort Park, using the lee of the Magnolia shore to get to his first traps set over by Norman’s Woe, the infamous rocks causing the “Wreck of the Hesperus”. 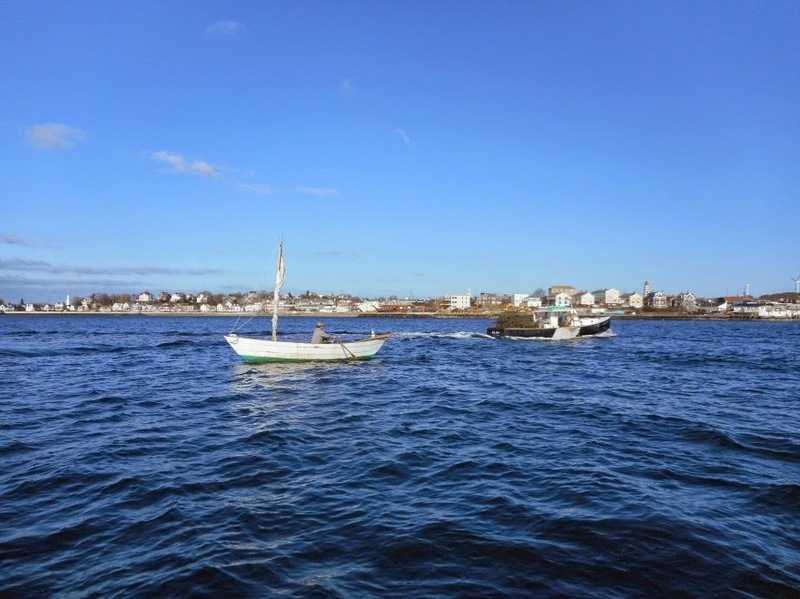 Most of the Inshore Lobstermen are putting their traps ashore for winter because the lobster have migrated to safer, deeper water and winter storms can cost thousands of dollars in damage to a lobsterman’s gear. One passing close by, starboard to starboard, with a deckload of traps, steaming in, shouts “Jarvis!” and Tom acknowledges the greeting with a respectful raising of the chin. The hands, arms, back and legs are too busy sweeping the oars and driving the dory the 3 miles windward to the first traps. This simple greeting holds countless fathoms of mutual respect, each knowing they share the many secrets that only come with Sea time. Once on his gear he quickly secures the first buoy to the dory, using it as a mooring line to hold the boat in place just long enough for him to don his boots and oilskins. As he hauls his traps he is totally present, senses heightened by the pitch of the Sea, the squeal of the gurney and the cold salt spray spinning off of it. The Southwest wind freshens. The waves grow larger with white caps and deep troughs between. Now Mother Nature requires total awareness or she’ll take a toll. Tom embraces what she has taught him, raising his sails, she takes him ENE to Black Bess, the rocks off Joe Garland’s house on Eastern Point, where he hauls another couple of strings. 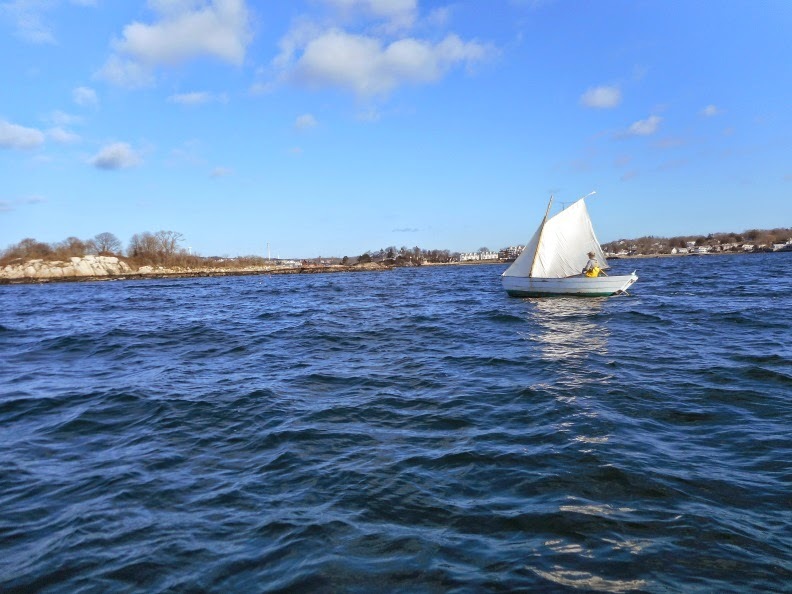 Again the sails are raised, this time the port rail to the wind as he steers NW to his gear south of Ten Pound Island. 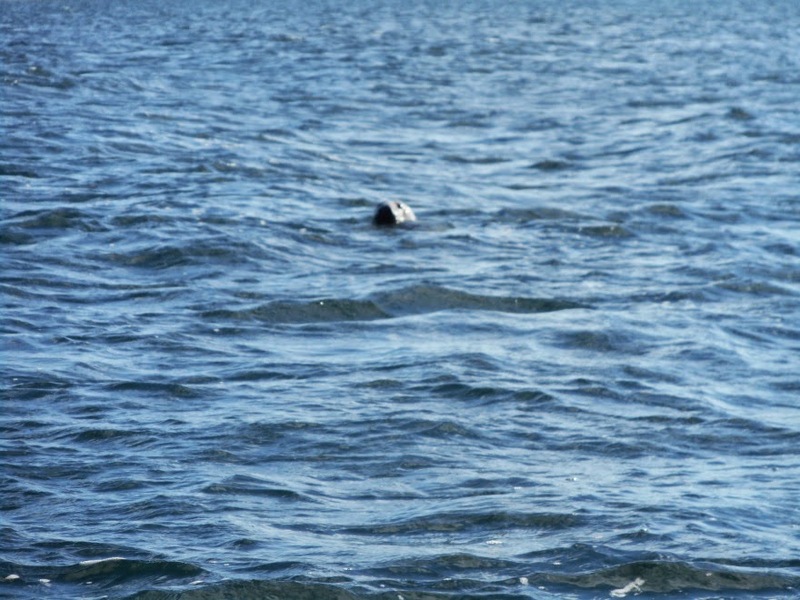 A Harbor Seal recognizes the dory and swims nearby, hoping another tasty herring will make its way into the water instead of the bait bag. And so it goes. Hauling. Setting. Trimming. Steering. Rowing. Every motion a lesson in efficiency taught by years of experience. When all is said and done he is back at his truck before noon. The haul for the day? It’s not about the lobsters for Tom Jarvis, Hell, these’ll most likely end up either in his Mom’s kitchen or in a pot on the woodstove of Gino Mondello’s “Dory Shop”, feeding his fellow Gloucestermen on a Saturday afternoon. It’s about the connections…. with the Waves, the Seal, the Lobsterman, the Sun and the Wind. Before most people even get out of bed the day after Christmas.